Please ensure your details are correct before proceeding to payment. Please do not close the browser window until the transaction has completed and a confirmation message is displayed. If you encounter difficulties making payment on this website please contact the Santa Sabina Business Office on 97457135 during business hours. Santa Sabina College is proud of its long tradition in providing a world class education to the students of our Community. Your donation enables the College to provide an opportunity for students to access an education that can inspire them to life-long learning and commitment to faith and create and maintain an environment that fosters excellence. Would you like to set up a regular donation? 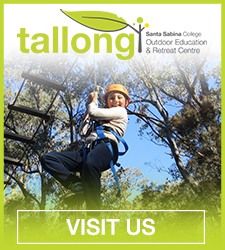 Thank you for your interest in making a donation to Santa Sabina College. Please ensure your details are correct before proceeding to payment. If you encounter difficulties making payment on this website please contact the Santa Sabina Business Office on +61 2 9745 7132 during business hours.